raclette cheese is kind of smelly but oh so good! Homemade pizza is one of my favorite things to make because it’s so simple to do. All you need is basic ingredients to make a quick and tasty pizza of your own. You don’t even need to make your own dough, just buy it from your local pizza shop or do like I did and get it from Trader Joes. I used the whole wheat dough for this pizza, very tasty. The toppings I used are pesto, shredded gruyere and swiss cheese, diced prosciutto, sauteed mushrooms and onions, sliced green bell peppers, raclette cheese, and fresh spinach. Baked it at 450 for about 15 mins. Simple and delicious! 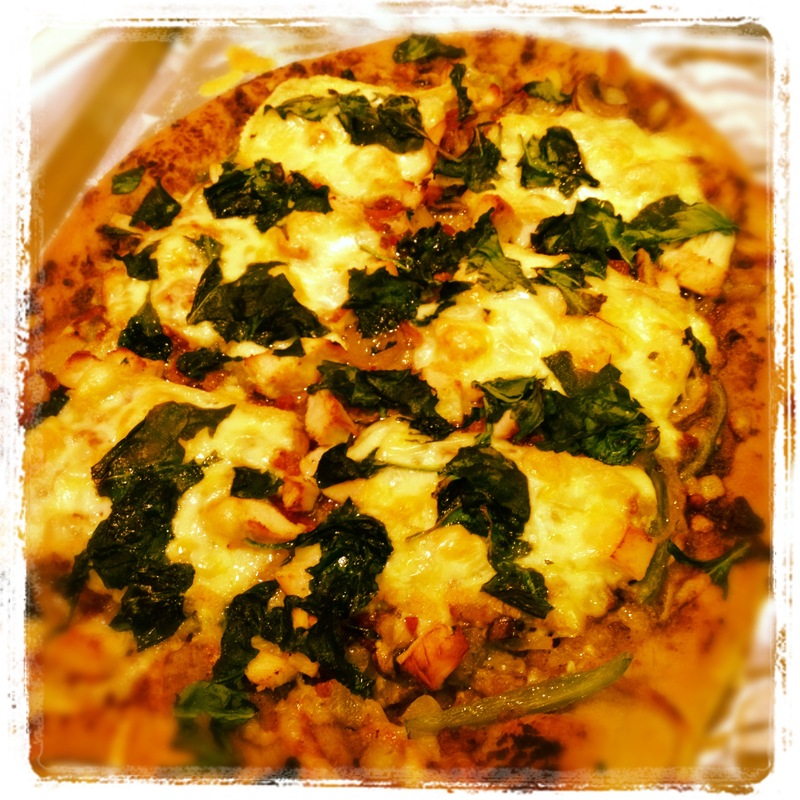 This entry was posted on March 12, 2012 by rrfoods in Chicken, Dinner, Pizza, Quick Nom and tagged Homemade, Pesto, pizza.